Labor sanctions in support of striking Israel Post employees are expected to spread on Sunday. Postal service and Histadrut labor federation representatives are also scheduled to renew negotiations with the Finance Ministry, in an attempt to draft an agreed-on recovery plan for the nearly bankrupt mail service. Courthouses are expected to be closed to the public, although court hearings will be held as scheduled. Also, tax and customs officials at the border crossings with Jordan and Egypt will not be letting goods in and out of Israel, starting at 8 A.M. Meanwhile, labor sanctions are ongoing at Health Ministry facilities, where employees are not offering public services and are not providing oversight for imported food and medication. The Tax Authority has also been subject to sanctions. In addition, workers at the postal service and Transportation Ministry are not enabling members of the public to transfer car ownership, and post offices are not accepting payment of fines on behalf of the courts, the police or municipalities. Since I first lived in Israel in 1979, I remember this as a recurrent problem. Expecting a package from overseas? Customs strike. Need an elective operation? Doctor’s strike (this actually happened to my daughter; luckily someone decided it wasn’t elective, so she had the surgery). Government and quasi-governmental employees periodically try to pressure the committees that decide how much to pay them by torturing ordinary citizens who have absolutely no influence between elections. The torture is escalated bit by bit. So they are still allegedly delivering the mail, although a document that I have been expecting for two weeks hasn’t arrived yet. I guess it doesn’t matter, because the document is needed to pay a fee — which can only be paid at the post office. Let me say at this point that despite everything you might hear about the US postal service, it is far better than the Israeli one. Yes, you read that correctly. The problem is left over from the days of Russian and Polish socialists who had to choose between making revolutions in Europe and creating the workers’ paradise in the Jewish yishuv in Palestine. 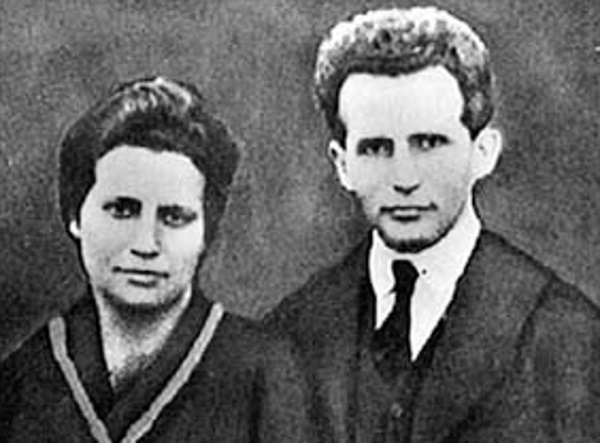 The ones that stayed in Europe ended up murdered by Hitler or Stalin, even the big successes like Lev Bronstein (also called Leon Trotsky). We got the Pole David Grün (who called himself Ben-Gurion), who ruthlessly forced the new State of Israel into a socialist mold. ‘Ruthlessly’ means ruthlessly. During the 1940s, Grün and his associates hunted down and turned over members of right-wing militias to the British to be imprisoned or hanged. He almost started a civil war during a ceasefire in the 1948 War of Independence when he ordered the IDF to attack the Altalena, a ship carrying immigrants and weapons for the right-wing Etzel militia of Menachem Begin. Sixteen members of Etzel and three IDF soldiers were killed. Only the good sense of Begin prevented the outbreak of civil war, which might have caused Israel to lose its war against the Arabs. Begin gave into Ben-Gurion’s demands and sacrificed the chances of the Right to attain political power in the new state — and his own personal ambition — for the sake of that state. He would have to wait until 1977 to become Prime Minster. In a striking example of how history is written by the victors, most people unacquainted with the facts think of Ben-Gurion as one of the great men of his age and Begin as an extremist right-wing ideologue. Historians are only recently beginning to put things into perspective. It is taking Israel a long time to recover from Grün and his friends. Little by little, the vestiges of socialism in the economy are dying out. Except, apparently, in the Post Office. This entry was posted in Israeli or Jewish History, Israeli Politics. Bookmark the permalink. I am surprised by this post. There is an underside to the activities of David Ben- Gurion especially in his relation to rival Jewish groups, Etzel and Lehi. There is much to criticize him for in his whole relation to Begin through the years. But the fact of the matter is that he was the leader who brought the Jewish people to statehood. He was the determined person who ignored the U.S. State Dept. and declared independence. He was the one who fostered its institutions and engaged in its political struggles during the time of the Mandate.He was the one who inspired the nation and directed the overall struggle for a Jewish state. He was the builder of the state in many different ways, including visionary ones. Yes, he did all these things. Who is to say Begin wouldn’t have done them better? This is a very interesting post, and most educational. Learned something new about Ben-Gurion today…even his original name! Living in the U.S., yes, I can vouch for our postal system. I have never complained about it, except when I lived for six years in Chicago, when I had some problems with missed/loused up deliveries there. Other than that, I have continually been impressed with what the USPS accomplishes given the magnitude of their logistical problems and the relatively small amount of money they have to work with.